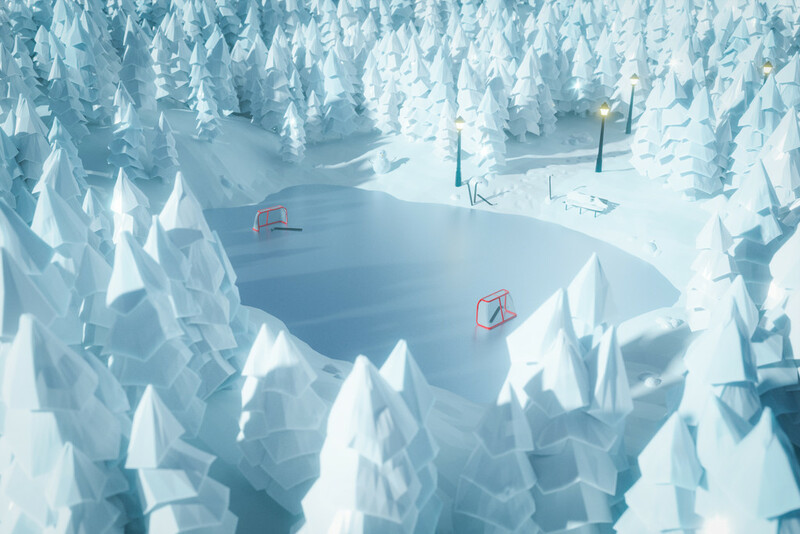 Another stab at a low-poly scene inspired by watching the Spengler Cup. It finished rendering at one minute after midnight. Typical! if you're not careful, we might have to make you an honourary Canadian! Rudolph could play here. Amazing.